We’re going to the beach today! 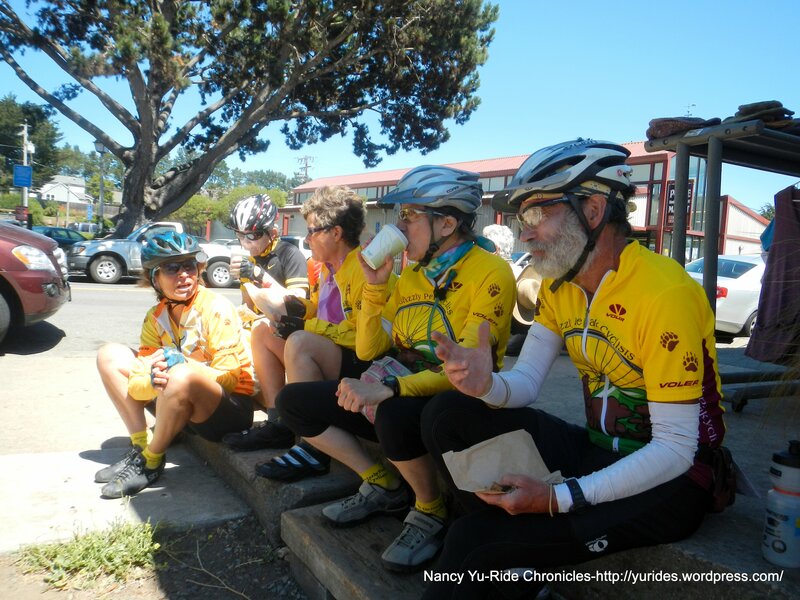 I ride out from Lucas Valley Rd to meet up with the Weds group in Nicasio. 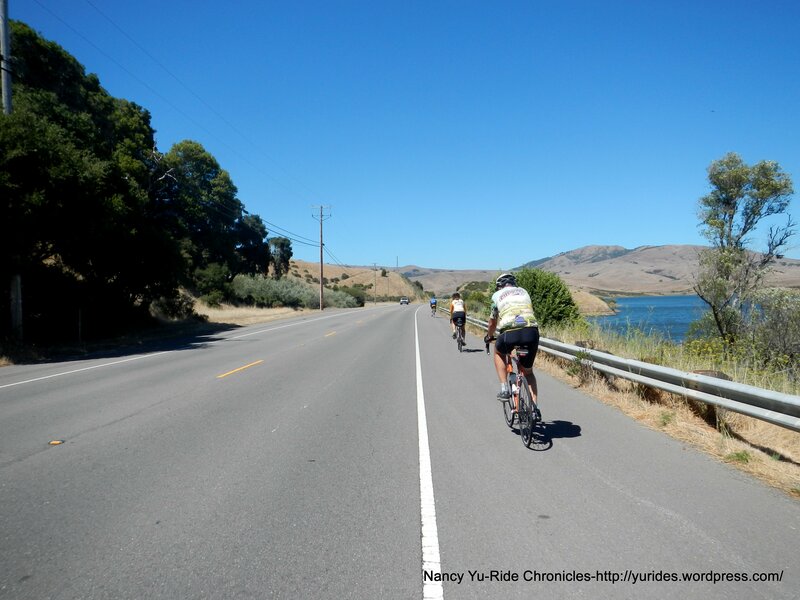 We ride along the reservoir on Nicasio Valley Rd to Pt Reyes Petaluma Rd. The calmness of the water creates a beautiful mirrored image of the surrounding hills. 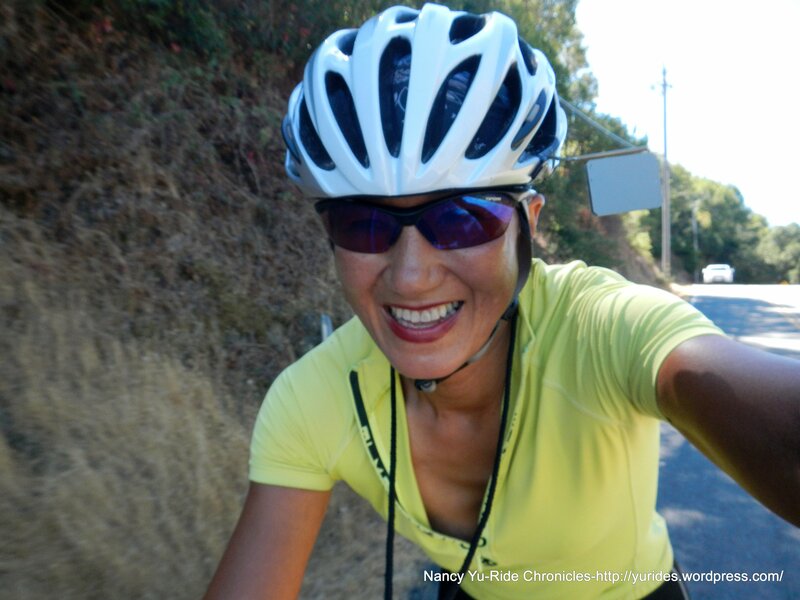 The gentle rolling terrain on Platform Bridge Rd takes us onto the climb up Olema Hill/Sir Francis Drake Blvd. 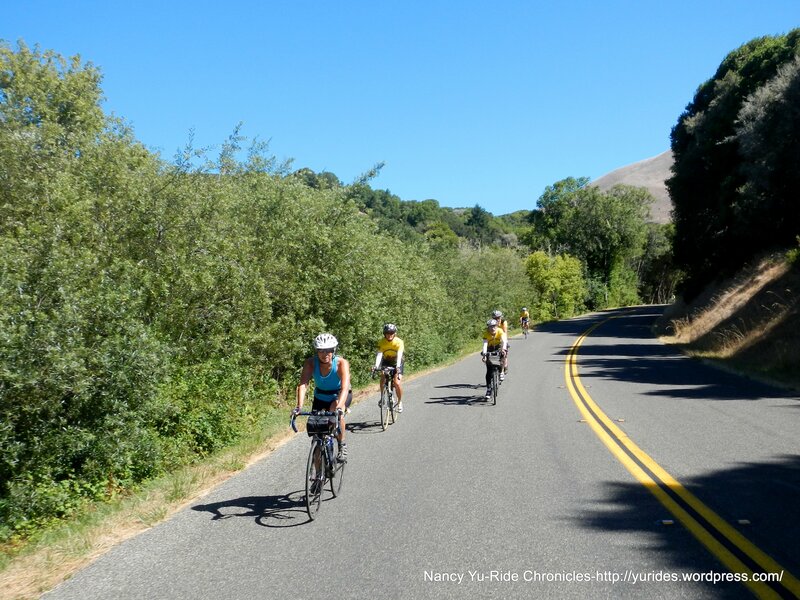 It’s under a mile long with gradient ranges of 7-9% followed by a sweeping descent into Olema. 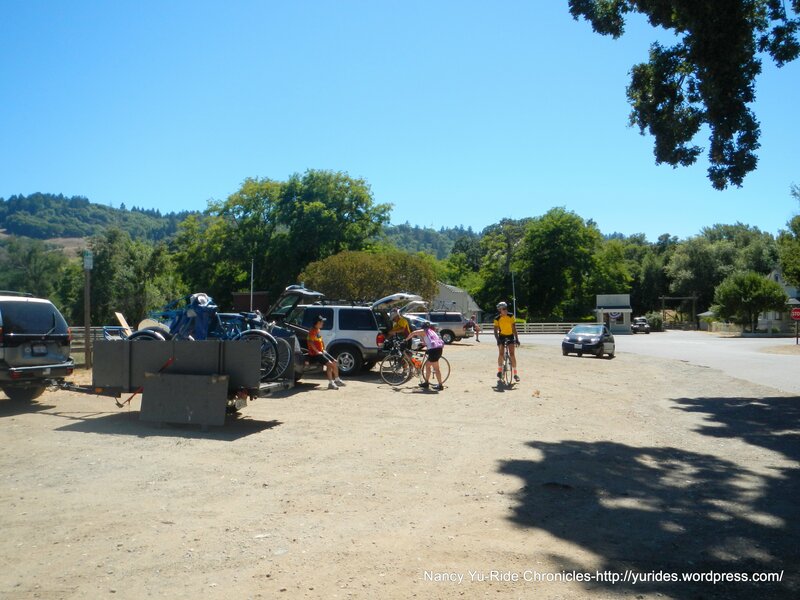 We turn right on Hwy 1 to make an immediate left onto Bear Valley Rd. 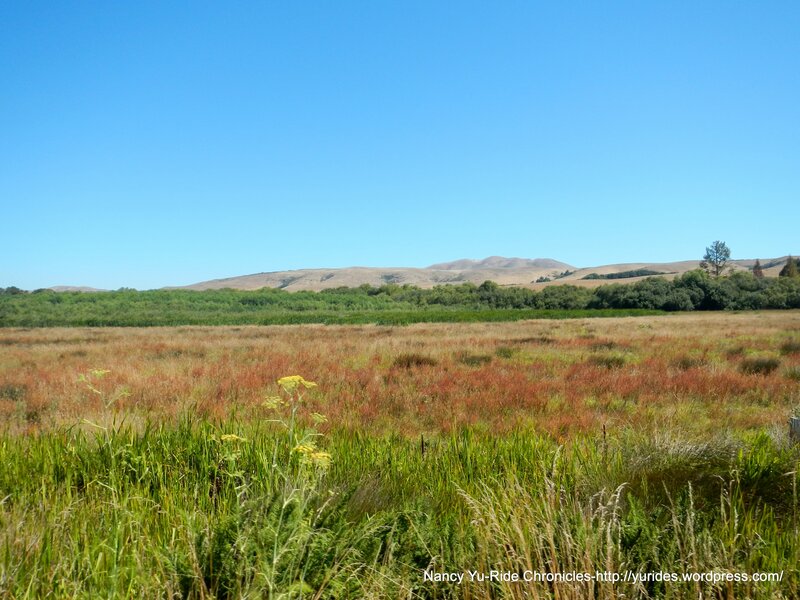 It’s a nice back road with minimal traffic through the Olema marshes to Sir Francis Drake Blvd. 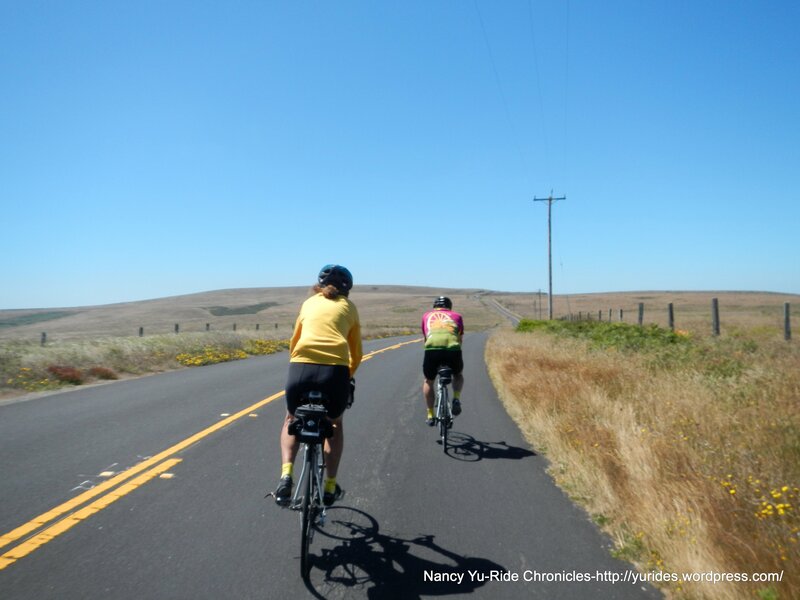 We ride through Inverness with some views of Tomales Bay and continue to head west towards the Pt Reyes National Seashore. There is one significant climb out of Inverness with gradient ranges of 8-11%. 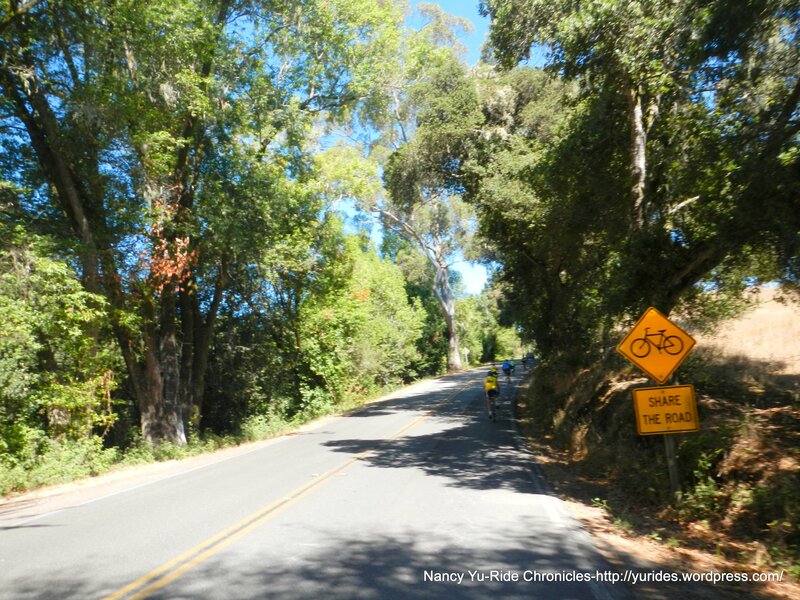 The descent will drop you down to a Y intersection-turn left to stay on Sir Francis Drake Blvd. 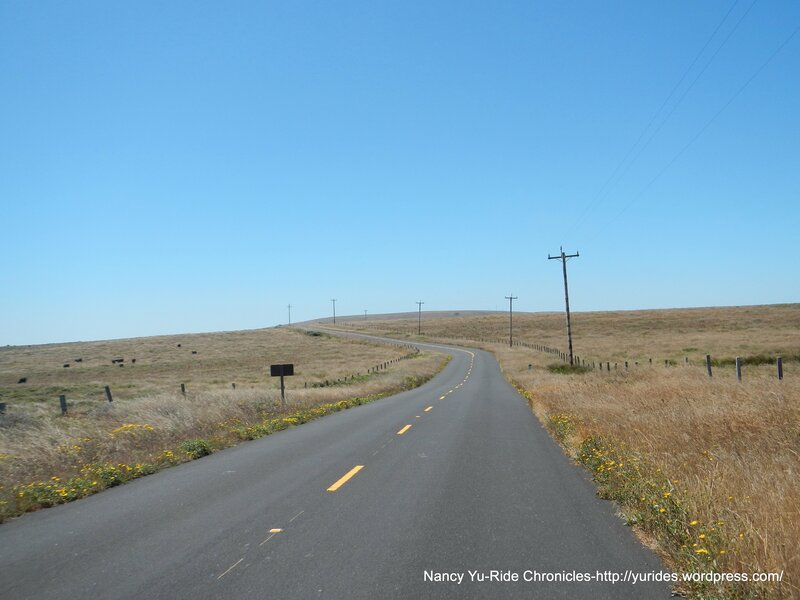 This road goes on for the next 8 miles through the wide vast expanses of pastoral land as far as the eye can see! I love it out here! There’s not much but yet so much! 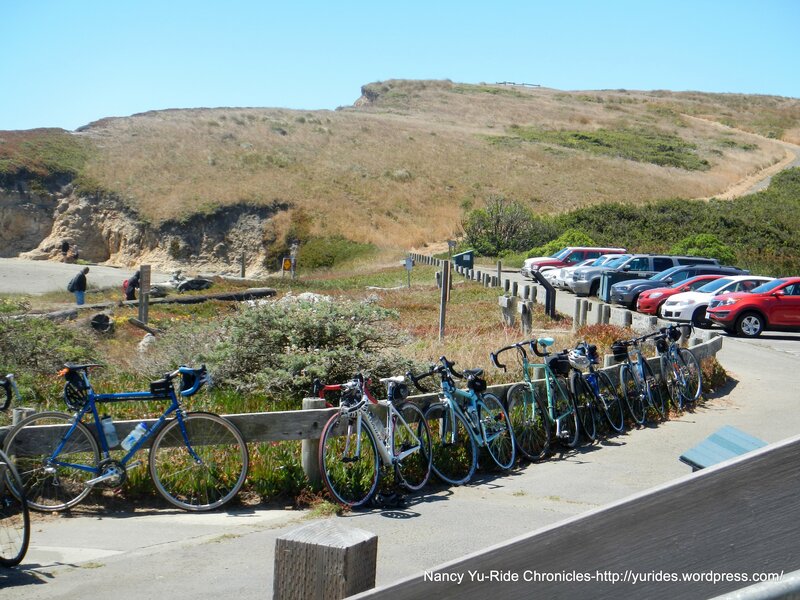 The terrain is a series of flats and long’ish climbs all the way to the turn off to the beach. 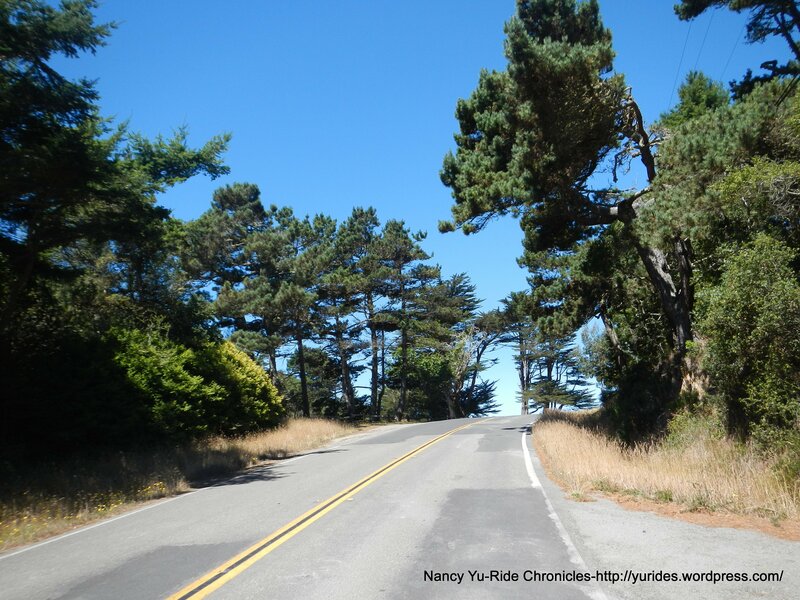 When you see the sign for Drake’s beach, take a left at the Y intersection to Drake’s Beach Rd. 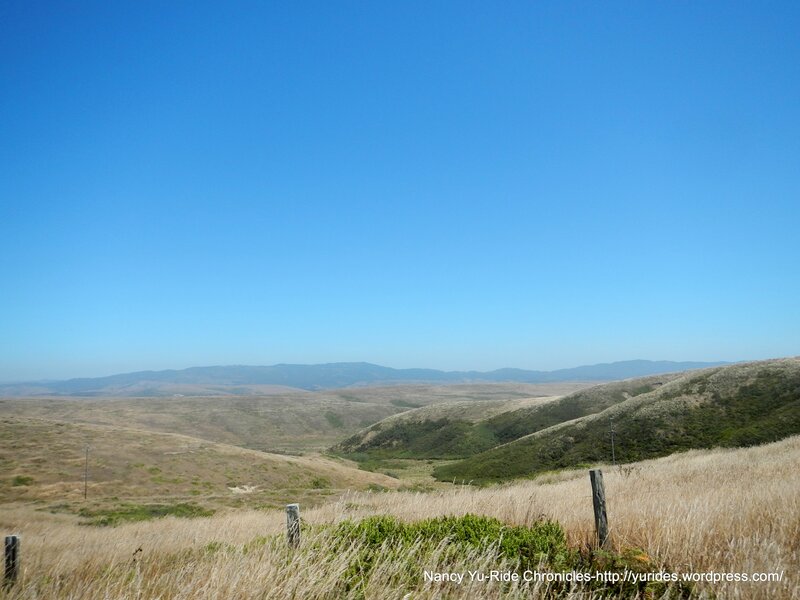 The views from the top of the ridge are spectacular! 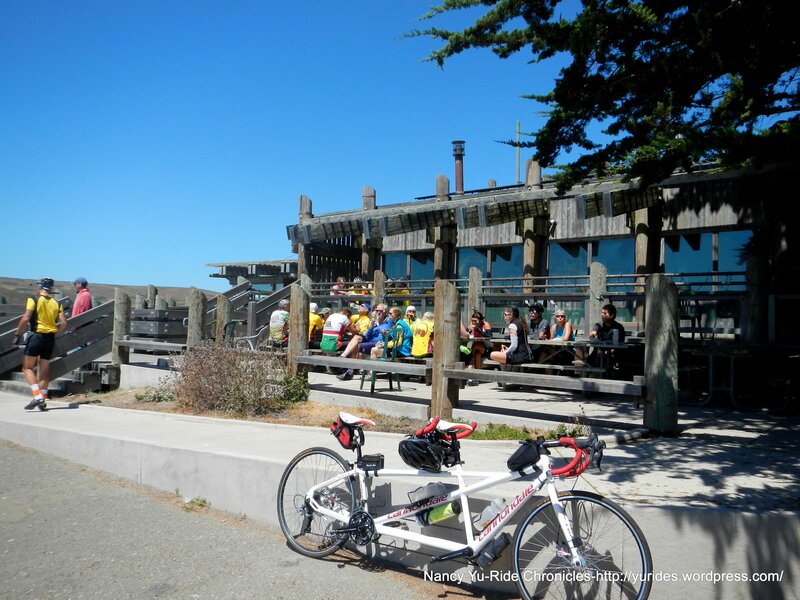 The steep descent drops you down to the Visitors Center. 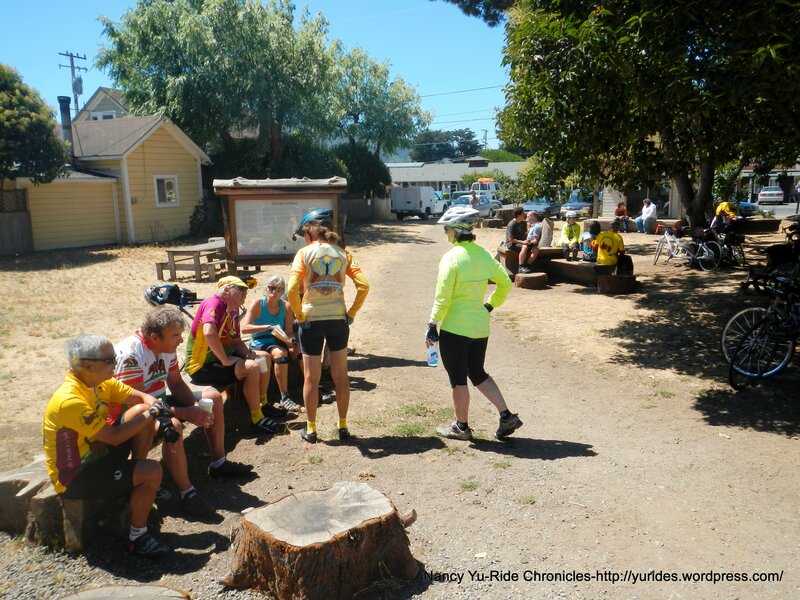 There is plenty of outdoor tables and seating areas for everyone and their bikes. 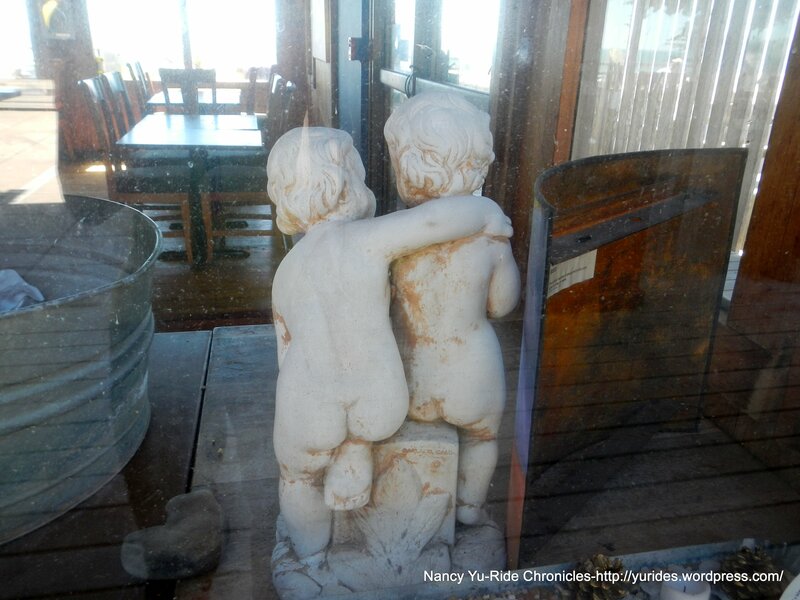 The ocean views are magnificently beautiful. The waves are the ocean’s pulse and you could feel it’s every beat! It’s a gorgeous day to be at the beach! How fortunate are we? 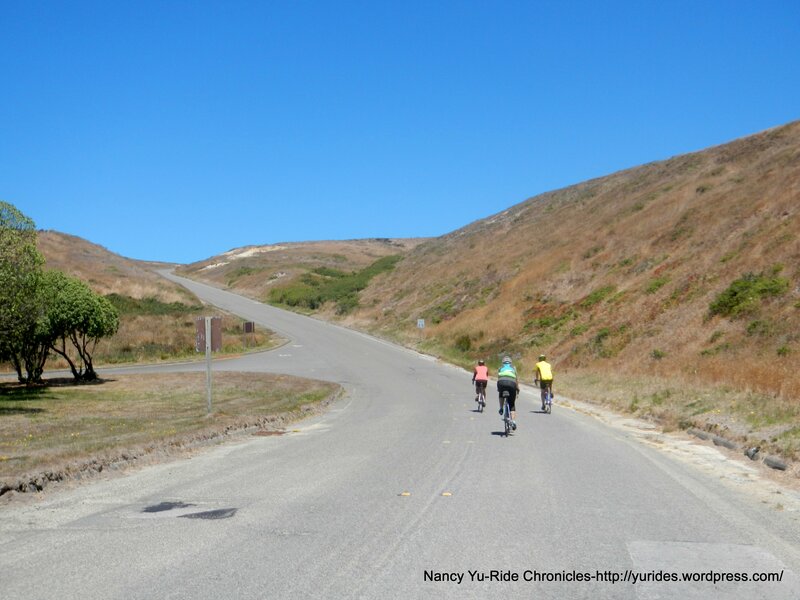 There is a steep climb to exit the beach-the gradient ranges from 10-14% all the way to the top! 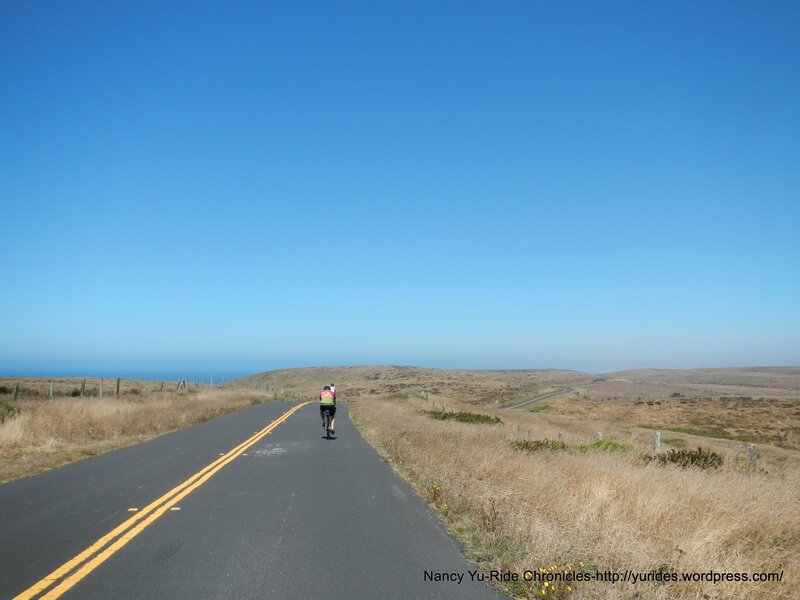 The winds have picked up significantly for the return on Sir Francis Drake Blvd but the sun is still shining brightly upon us! 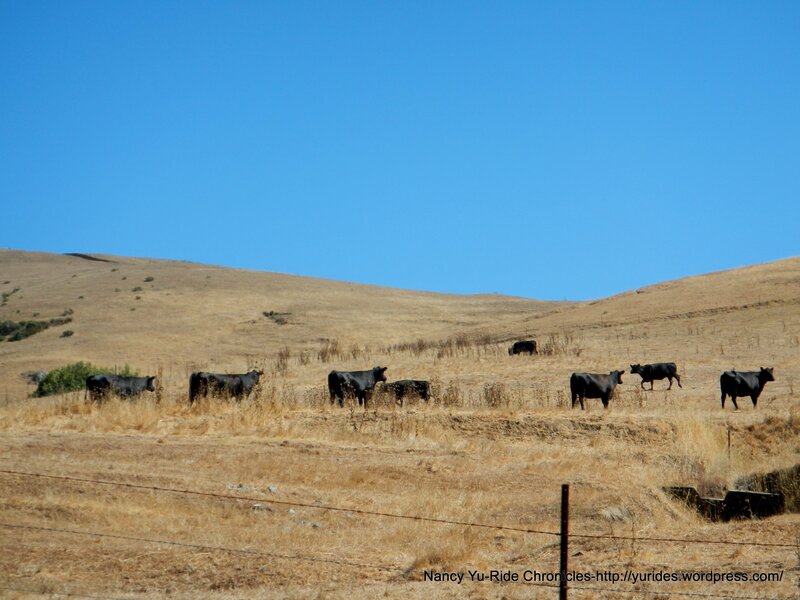 Anywhere, everywhere you look, the views are fabulous! 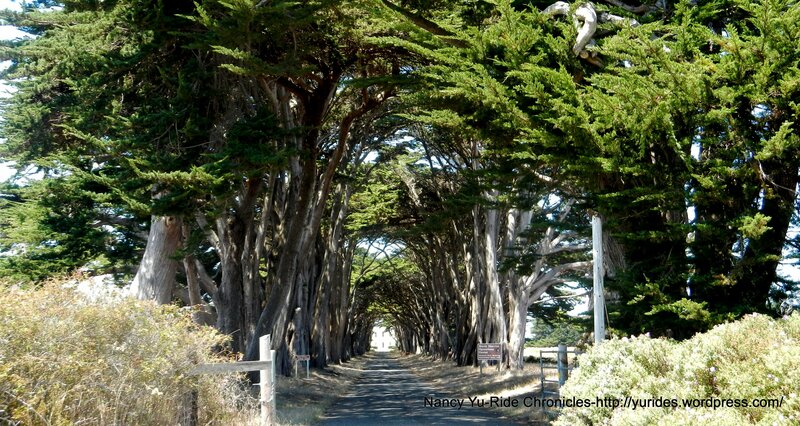 All the times I’ve been out this way, I always miss this shot of the eucalyptus lined driveway. 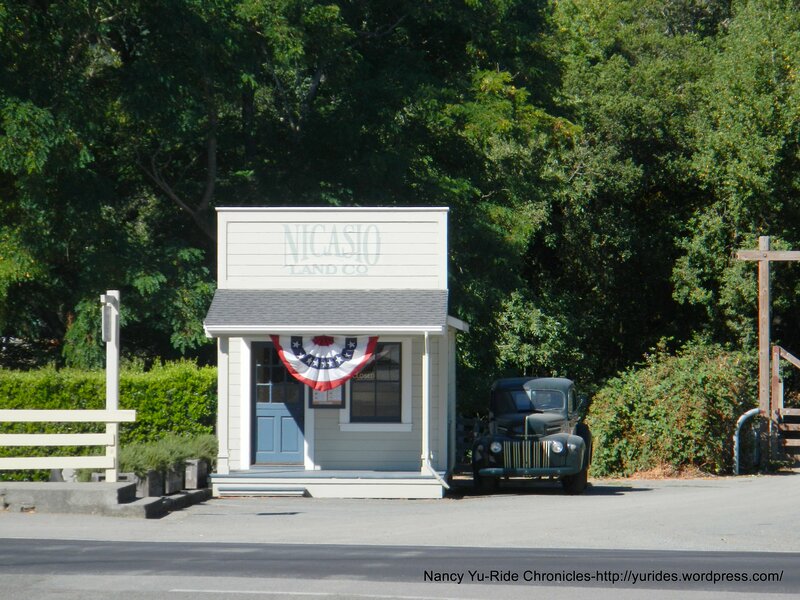 This time, I deliberately stop to take a pic-it looks so very inviting and welcoming! 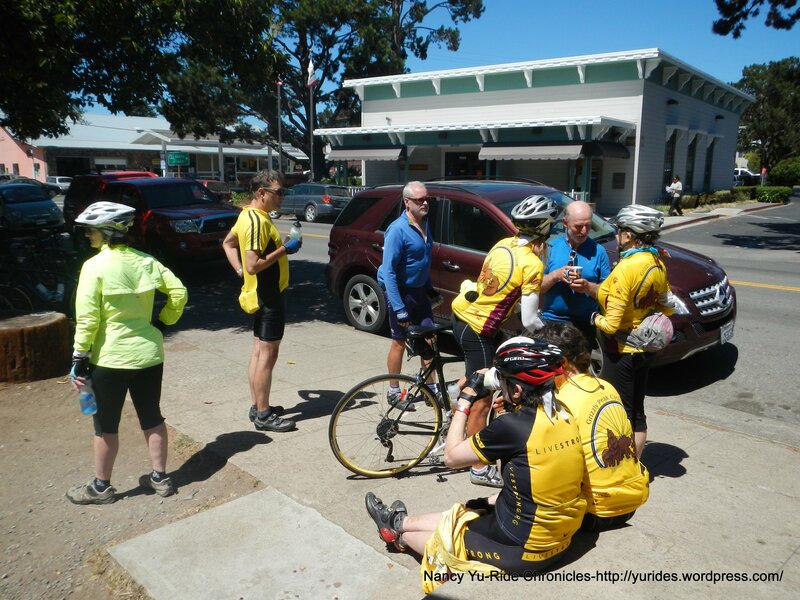 We ride back through Inverness and stop at Pt Reyes Station for a snack at the Bovine Bakery. 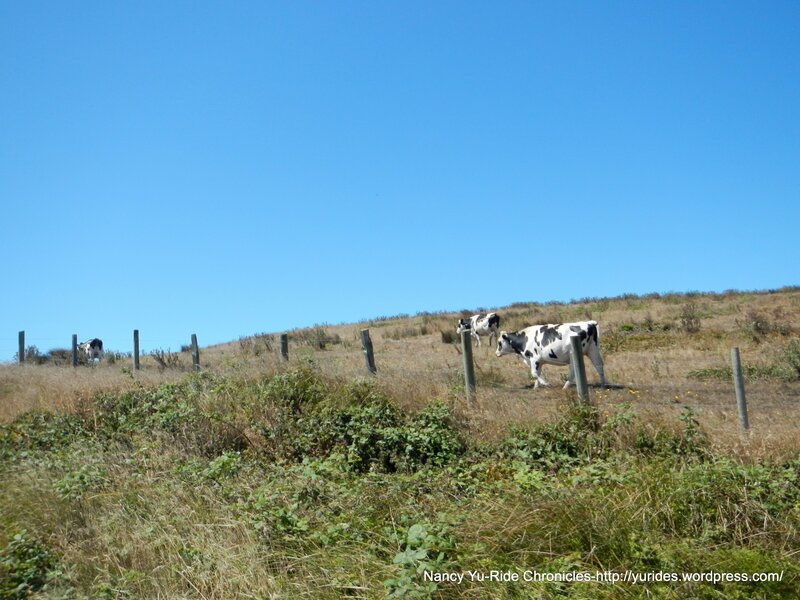 We leave the Bovine and continue on Hwy 1 to Pt Reyes Petaluma Rd. 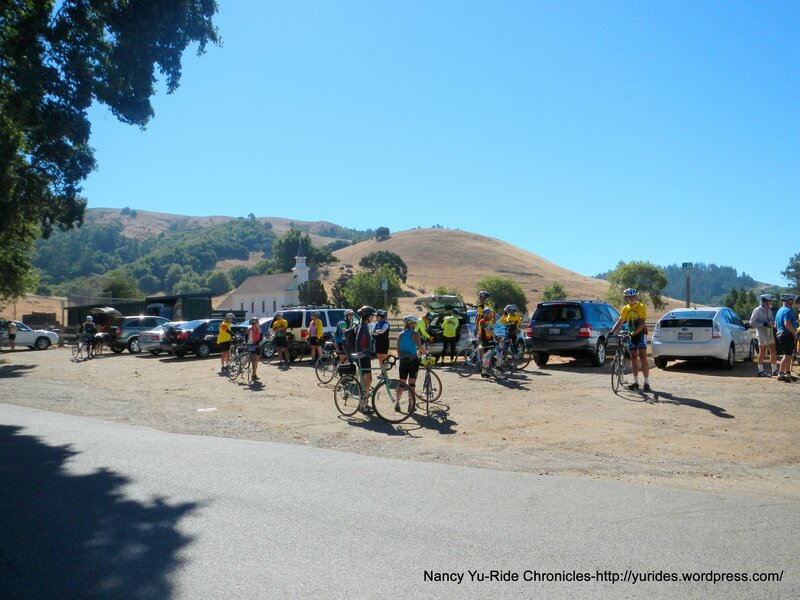 The climb up the spillway leads us back along the Nicasio Reservoir and back to Nicasio. 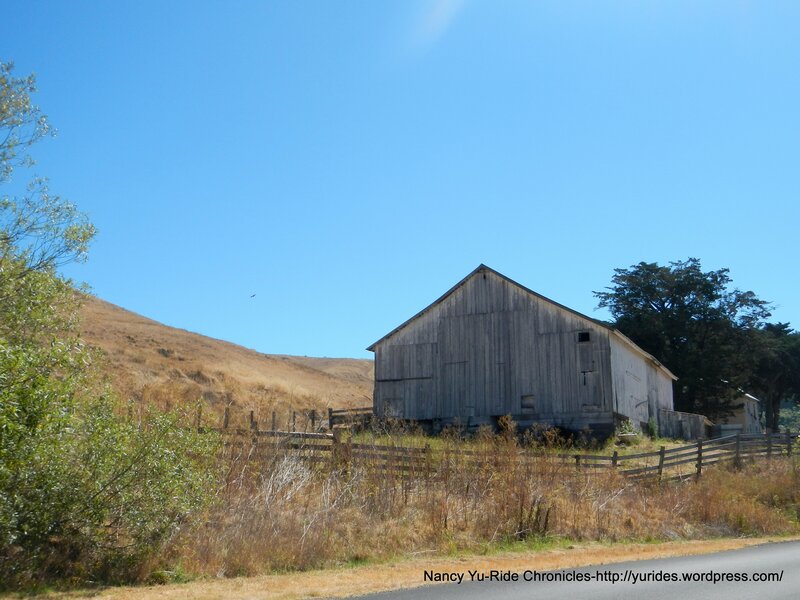 Wyatt and I have an extra 10 miles to go back on Lucas Valley to Miller Creek Rd. 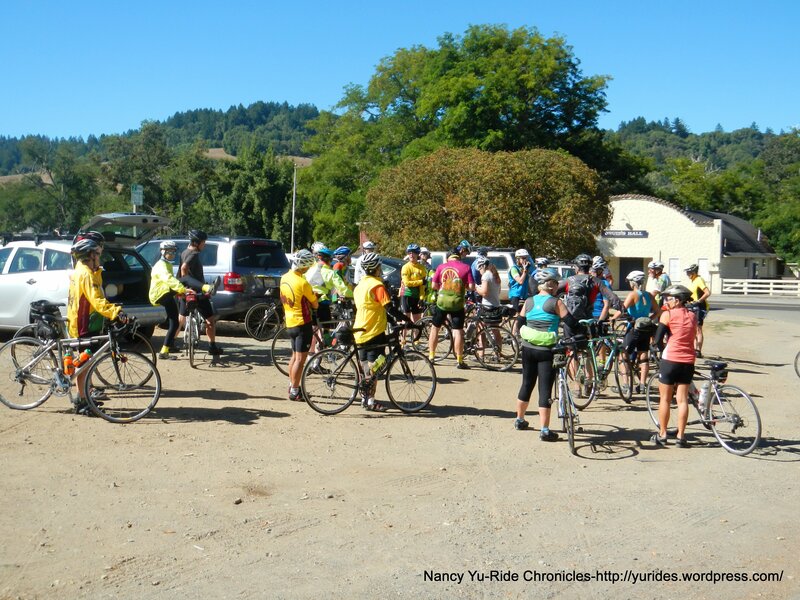 Thanks to Stephanie for leading this fantastic ride out to Drake’s Beach-it was a perfect day! Another thanks goes to Wyatt for all the pulls throughout the ride!